Hound Gadgets | If a plane was run by Windows, would you fly it? Make sure you have Rainmeter 2.2 or higher installed, then just double click the Setup.rmskin file, the extraction might take a minute or two, after that you’ll be guided by the Intro. This entry was posted in Uncategorized, Windows and all on August 20, 2012 by houndgadgets. Grand Theft Auto is a video games series primarily developed by British developer Rockstar north.The name of the series is derived from grand theft auto, a term referring to motor vehicle theft. Grand Theft Auto :The first game in the Grand Theft Auto series, was created by video game developer DMA design , and was released for Microsoft DOS/Windows in 1997/1998 and also for the Playstation. The game is set in three different fictional cities,Liberty city San Andreas and Vice city. Later Grand Theft Auto:1969 and Grand Theft Auto 1961, were also released in 1999. Grand Theft Auto II: The second game in the series, Grand Theft Auto was developed for Microsoft Windows,Playstation and Dreamcast and released in the year 1999. Set in the indeterminable future, it featured updated graphics as compared to Grand Theft Auto I. Grand Theft Auto III: The third game in the series was released in october 2001, the game was located in liberty city , a city similar to Newyork using a mission-based approach. After the success of Grand Theft Auto III, Grand Theft Auto: vice city was released in 2002. This game was set in 1986 in vice city, which was based on Miammi florida. The game’s plot focuses on the cocaine trade during the 1980s. Vice City was the first game to introduce fully functional flying vehicles that could be used by the player, such as seaplanes and helicopters. It also featured a variety of new weapons and vehicles. After fruitful success of Grand Theft Auto:Vice city , next game Grand Theft Auto:San Andreas got released in october 2004. which was based on some california and nevada cities, specifically Los Angeles, San Francisco, and Las Vegas. Their counterparts are Los Santos, Las Venturas, san fierro respectively. Grand Theft Auto IV: Grand Theft Auto IV has much more realistic gameplay than its predecessors.The game once again takes place in a redesigned Liberty City. This entry was posted in Gaming and tagged cars, gaming, Grand Theft Auto, Grand Theft Auto III, Grand Theft Auto IV, Grand Theft Auto: San Andreas, Grand Theft Auto: Vice City, Los Angeles, motor vehicle theft, Rockstar, Rockstar North, theft auto san andreas, video game developer on September 6, 2012 by houndgadgets. 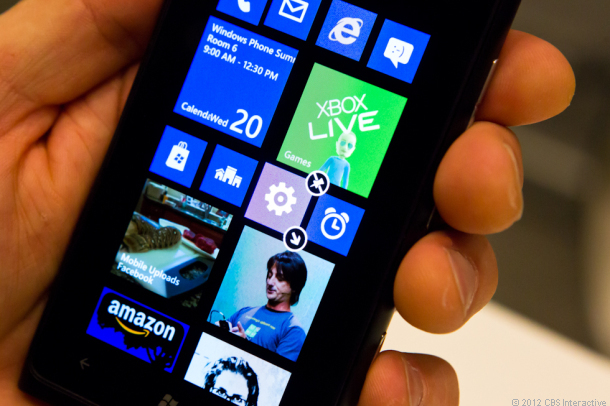 apps that work on windows phone will also work on tablets and desktop PCs as well. multi-core support:Until now,wp7.5 offered support to a single core but now they are starting with dual core chipsets. New start screen:Metro UI on the WP mango looked nice but had two tiles at a fixed size each.it will allow users to customize home screen. internet explorer10:Browser being an important part for any smartphone , microsoft will now offer a powerful browsing experience with internet explorer 10 with HTML rendering with security features like anti-phishing. High resolution display: Microsoft giving better quality displays with 1280×720 and 1280×768 resolutions. Nokia maps:Nokia maps will now be the default maps on WP8 smartphones featuring offline mode,turn by turn navigation and a wider coverage. NFC and mobile wallet:with NFC support making into WP8, users will have access to new features called wallet.The ‘mobile wallet hub’ on wp8 will allow users to pay for goods and services from phone itself. MicroSD card:With given inbuilt memory users can also use microSD card. Enterprise ready: Enterprise and IT administrators will be happy about the WP8 enterprise level .it will include Bit Locker drive encryption and ability to side load apps by sidestepping the marketplace. Other Features:Multitasking support to apps and enhanced VoIP support.New speech engine ,licensed from audible . This entry was posted in Windows and all on September 6, 2012 by houndgadgets. Windows 7 is the previous version of the Microsoft Windows operating system, and is available in six different editions (Home Premium, Enterprise, Ultimate, Professional, Starter, and Home Basic). Only Home Premium, Professional, and Ultimate are widely available at retailers.Microsoft announced Windows 7 pricing information for some editions on June 25, 2009, and Windows Anytime Upgrade and Family Pack pricing on July 31, 2009. Windows 7 Starter is the edition of Windows 7 that contains the fewest features. Windows 7 Starter is only available in a 32-bit version. The Windows Aero theme is not included in this version. The desktop wallpaper and visual styles (Windows 7 Basic) are not user-changeable. Microsoft originally intended to restrict the edition to running three simultaneous applications but this limitation was dropped. This edition is available pre-installed on computers, especially netbooks, through system integrators or computer manufacturers using OEM licenses. Windows 7 Home Basic is available in “emerging markets“, in 141 different countries. Some Windows Aero options are excluded along with several new features.Home Basic, along with other editions sold in emerging markets, include geographical activation restriction, which requires users to activate Windows within a certain region or country. This edition contains features aimed at the home market segment, such as Windows Media Center, Windows Aero and multi-touch support. This edition is targeted towards enthusiasts and small-business users. It includes all the features of Windows 7 Home Premium, and adds the ability to participate in a Windows Server domain.Additional features include operating as a Remote Desktop server, location aware printing, Encrypting File System, Presentation Mode, Software Restriction Policies (but not the extra management features of AppLocker) and Windows XP Mode. This edition targets the enterprise segment of the market and is sold through volume licensing to companies which have a Software Assurance contract with Microsoft.Additional features include support for Multilingual User Interface (MUI) packages, BitLocker Drive Encryption, and UNIX application support. Not available through retail or OEM channels, this edition is distributed through Microsoft Software Assurance (SA).As a result it includes several SA-only benefits, including a license allowing the operating of diskless nodes (diskless PCs), the running of multiple virtual machines, and activation via VLK. Windows 7 Ultimate contains the same features as Windows 7 Enterprise, but unlike the Enterprise edition, it is available to home users on an individual license basis. Windows 7 Home Premium and Windows 7 Professional users are able to upgrade to Windows 7 Ultimate for a fee using Windows Anytime Upgrade if they wish to do so.Unlike Windows Vista Ultimate, the Windows 7 Ultimate edition does not include the Windows Ultimate Extras feature or any exclusive features as Microsoft had stated. This entry was posted in Uncategorized, Windows and all and tagged WINDOWS7 on August 18, 2012 by houndgadgets.